This year, Ferrari is celebrating 70 years of automotive prowess with a variety of excellent events, all coming to a head at the 2017 Pebble Beach Concours d’Elegance. The event will celebrate the different eras in the brand’s impressive history at the Pebble Beach Golf Links in California. Fans, collectors and owners alike of the Ferrari brand can see all seventy years of engineering, style, and luxury brought to life at the Pebble Beach Concours d’Elegance Classic Car Week this weekend, with the event running from August 17-20. At the event, four classes of Ferraris will compete on the 18th fairway of Pebble Beach Golf Links. There, the event will also feature special classes for Ferrari Major Race Winners and Ferrari One-Off Speciales. The famed course’s first fairway will also be lined with various Ferrari model, for a truly impressive display. The Ferrari special display and events will be hosted on the fairway on Saturday, August 19 starting at 4 pm and will be open to the public. For more information on this impressive event, take a look at the video below! 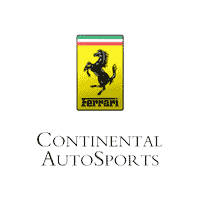 If you’re interested in learning more about the Ferrari brand and its impressive 70-year history or would like to learn more about the brand’s current lineup, be sure to take a look at the rest of our blog here at Continental Ferrari. Questions or inquiries can be addressed by dealership staff, simply give us a call or contact us online.